Defying Chinese attempts to limit attendance at a meeting in Lithang, more than 5,000 monks, nuns and laypeople gathered for collective teachings and discussions on socio-cultural issues. Defying orders from Chinese authorities, more than 5,000 Tibetan monks, nuns, and laypeople gathered last week at a monastery in southwestern Sichuan province for talks to promote Tibetan cultural values and national unity, a Tibetan source living in India said. The gathering—the fourth in a series of annual regional meetings—ran from July 15-24  and was held at Lithang Gonchen, the main monastery of Lithang county, in Sichuan’s Kardze (in Chinese, Ganzi) Tibetan Autonomous Prefecture. Chinese authorities had at first attempted to limit the numbers of those attending, but finally declined to interfere, though security forces remained camped nearby throughout the event, said Atruk Tseten, a member of the Assembly of Tibetan People’s Deputies in Tibet’s India-based exile government. Along with religious discussions, participants heard talks relating to social and cultural issues, including the importance of preserving the Tibetan language and the unity of Tibetans living in Tibet’s traditional three provinces of U-Tsang, Kham, and Amdo—all now ruled by China. 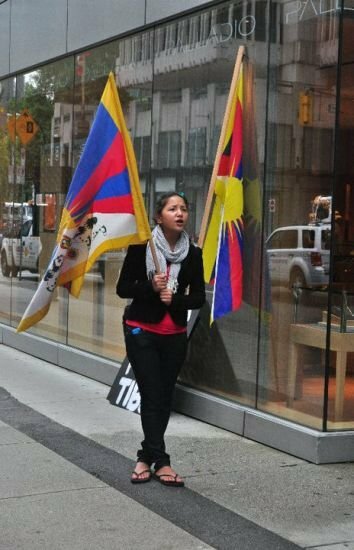 “This had a great impact on the younger Tibetans attending, and helped to uphold their identity as Tibetans,” Atruk Tseten said, citing information gathered from local officials and participants in the meeting. At the beginning of the meeting, monastery officials instructed Tibetan laypeople attending to speak only in Tibetan and to wear traditional Tibetan dress, and levied fines on those heard using Chinese words in conversation. Meeting organizers also discouraged civilian officials in the Lithang county seat from entering the monastery grounds, saying, ‘We will be doing some things you won’t like,’ Atruk Tseten said. ‘And if you do come, wear proper Tibetan clothing, and speak only in Tibetan or keep quiet,’ Tseten said the officials were told. Tseten noted that Lithang Gonchen, the monastery hosting this year’s meeting, had sent invitations to over 100 other monasteries—both in Kardze and in neighboring prefectures—to take part, and that from 40 to 50 of these had sent participants. Told by Chinese authorities that “no more than 1,000” Tibetans would be allowed to gather, Tseten said, Lithang monastery organizers replied that the invitations had already been sent and that no one would be turned away. And though authorities sought to prevent participation by monks from restive Kirti monastery, also in Kardze, a delegation from that monastery also attended, Tseten said. Kirti, the scene of a self-immolation protest against Chinese rule and the forced removal by authorities of about 300 monks earlier this year, is facing an ongoing “patriotic education campaign” by Chinese security forces, according to India-based monks Losang Yeshe and Kanyag Tsering. “The monastery is still occupied and under surveillance by police, army, and special police forces inside and out, restricting all activity and movement of the monks,” Yeshe and Tsering said. “Kirti monk Donyo Dorje, 34, has been sentenced to three years in prison and is now in the Mianyang prison near Chengdu, Sichuan,” they said. “Three other youths were sentenced and are imprisoned at Mianyang, but their names and other details about them are not known,” Yeshe and Tsering added.